As one of the featured turntablists on Stylus RMX, Hector Delgado had been behind the scenes as a DJ, Producer and Engineer for many artists. 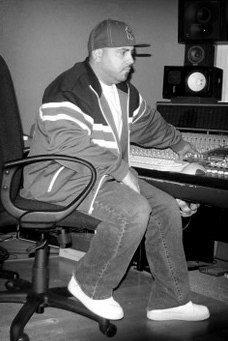 He had produced and turned knobs for Babyface, Onyx, The Fugees, Missy Elliot, Jay-Z, Sticky Fingaz and Cece Winans. As owner of The Music Group in Van Nuys, California, he oversees a technologically advanced studio and mixing facility. Utilizing the latest in technology, Hector keeps his sound fresh. He has served as music supervisor for the feature films “A Day In The Life” and “Caught On Tape”. His innovative techniques set him apart from the pack and his work with Major Independents is truly unique.